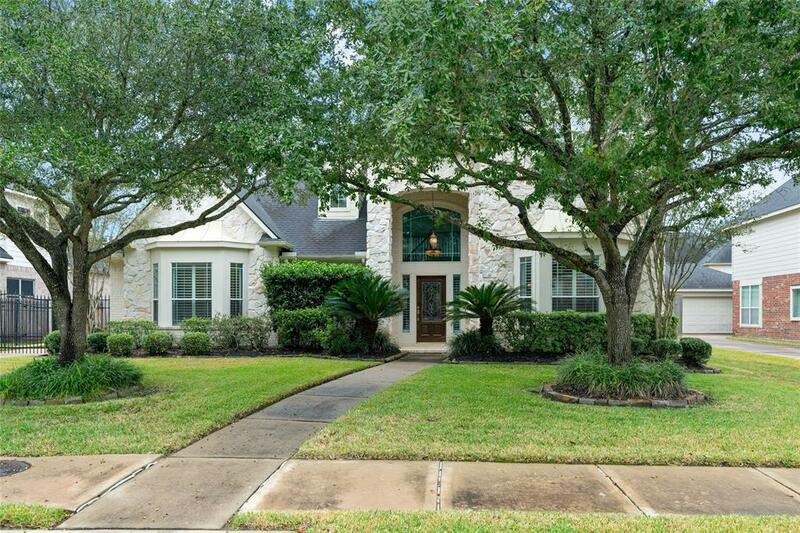 Gorgeous home in the Grand Lakes community! 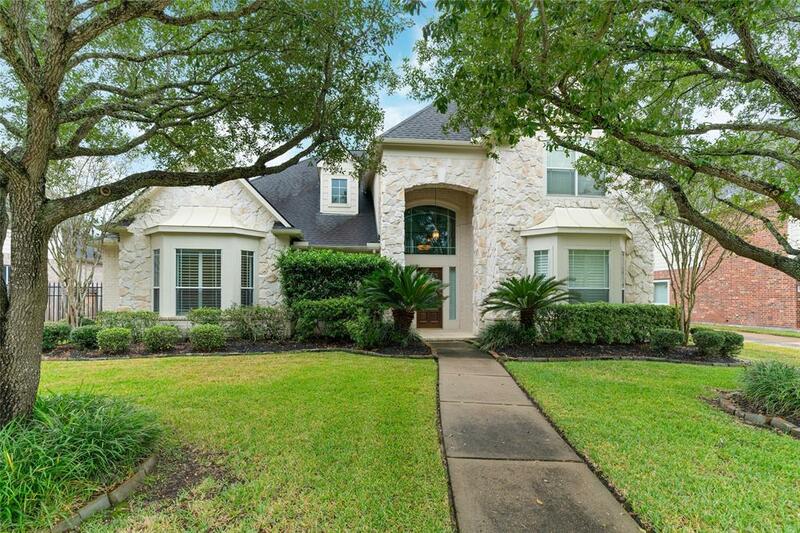 2 bedrooms on first floor, both with full bathrooms, Stunning wood flooring throughout first floor, plenty of natural lighting, huge formal dining area, large gourmet kitchen, plenty of cabinet and granite counters, raised dishwasher easy for loading, huge pantry, fireplace, large living room, master suite with huge closet. 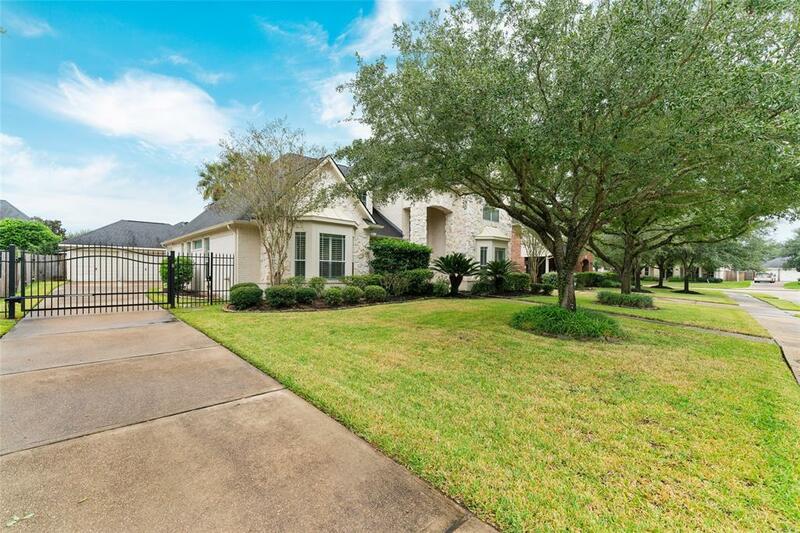 Bright game room on second floor, Heavenly Back yard with a Stunning custom pool(both salt water and chlorine systems) and spa, covered patio, and sprinkler system, great for entertaining with 3 car garage! Home did Not Flood. 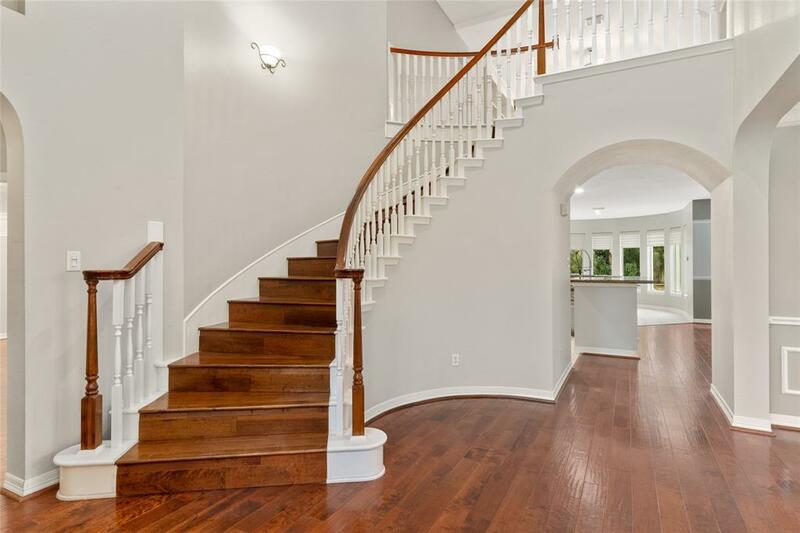 Don't miss out on this gorgeous home!